Identity theft is raging across the Internet. But one company wants to put out the fire. It playfully calls itself Credit Sesame, but this company has a serious mission. In cooperation with other members of the nonprofit The Identity Theft Council, Credit Sesame is promoting a nationwide initiative dubbed "100 Cities in 100 Days." Through it, Credit Sesame and its partners aim to educate consumers about the risks of identity theft, and gather together in one place the best ideas for how to stop it. To this end, Credit Sesame and the Council this month began distributing a free pamphlet. They're making it available to the public in hopes of convincing at least "100 cities" across the nation to set up programs to educate consumers about ID theft. They also hope city governments will begin cooperating with one another to codify some best practices to combat the threat. "Last year, 13.1 million consumers suffered identity fraud and the problem continues to grow," says Credit Sesame CEO Adrian Nazari in the pamphlet. Credit Sesame expects 2014 to end with 16 million Americans affected by ID theft -- with one new victim created every three seconds. Identity theft is now the No. 1 consumer complaint in America, says the Council -- as it has been for the past 14 years. What Do the Thieves Want? For the most part: money. You've got it; they want it. 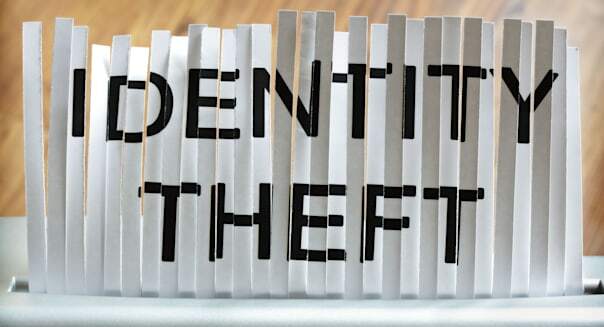 Identity thieves want to steal your digital identity and use it to take out credit cards and other loans in your name, or to sign up for utilities services when their own poor credit histories might make it difficult for them to get approved. They'd like to charge their purchases to your credit cards. Make withdrawals from your bank accounts. And have your IRS tax refunds sent to them instead. And that's just for starters. Among other factoids described in the Council's Think Security First! pamphlet is the observation that the street value of your Social Security number could be greater than that of your flat-screen TV. What's more, on the black market for confidential data in general, criminals pay as much as 30 times more for private medical information than for financial information. How Can You Keep Thieves From Getting What They Want? If you've spent any time at all here on DailyFinance, you're familiar with the basics of how to avoid getting taken in by Internet scams, guard your credit data when shopping, and stymie ID thieves' efforts -- but it never hurts to review these basics. Read your mail. The world's gone digital, but for the time being, the USPS is still in business -- and still delivering a treasure trove of credit card applications, medical bills, and Social Security statements to your mailbox. Read them when they arrive to minimize the time between when you're victimized by fraud and when you find out. Then shred your mail. Recycling paper products is great for the environment. But when you put sensitive documents on the curb intact, you're inviting trouble. So shred first -- and then recycle. Read your email, too. These days, lots of us get our bank statements and bills over the Internet -- and pay our bills with online bill pay. It's convenient, and it also lets you instantly check on the status of your bank and credit card accounts, to see if there's any hanky-panky going on. But only if you do it. Without the prompt of an envelope arriving in your snail-mailbox, you're going to have to remember to check on these things yourself. Daily if possible, say some experts. Weekly if not. But at least once a month. Protect your email (and Web browsing, and computer files). This may seem daunting to the not-technologically-inclined. But you can get a good start with just three simple steps: (1) Think up at least one strong password -- consisting of numbers, symbols, upper- and lowercase letters -- and use it. (2) Install a good antivirus and anti-spyware program on your home computer. (3) Install one on your smartphone as well. Final point: If all of the above seems like too much work to you, feel free to outsource. Credit Sesame itself offers a free credit monitoring service. And in the Think Security First! pamphlet, you'll find info on free services such as Dashlane and LastPass that will manage your passwords for you, recommendations for free antivirus software programs, and even a tip on a good program to lock down your smartphone. Motley Fool contributor Rich Smith was pleased to learn from the pamphlet that his Internet password -- "PASSWORD123" -- is currently the most popular password on the Internet! (Yes! We're No. 1!) Neither he, nor The Motley Fool, has any financial interest in any companies mentioned above. Is your portfolio ready for the new year? Check out our free report on one great stock to buy for 2015 and beyond.